Use case law where the facts are very similar to your legal situation. Use case law from the jurisdiction where your case will be heard. For example, if you are going to a Maryland District Court, case law from Maryland's higher courts, such as the Court of Appeals, or the Court of Special Appeals, would be helpful. There is a chart of how the Maryland courts are organized. Make sure the case law has not been superseded. "Superseded" means that the case law has been overruled by a higher court. Case Law is made by judges. It is the published opinion of a court on a particular case. It is the court's explanation for why it made its decision. Nearly all case law is made by appellate courts, not the "lower" trial courts. An example of an appellate court would be the Maryland Court of Appeals, and the U.S. Supreme Court. What is Precedent and What Does it Mean? The facts of the cases differ. The decision in the previous case was from a court in a different jurisdiction. The decision in the previous case came from a lower court. There is a compelling public policy reason for not following the previous decision. Where Can I Find Case Law? Case law is published in periodicals called reporters. All federal and state court systems publish some form of reporter. Inside a reporter are cases from a limited geographical area or government unit. For example, Maryland Reports publishes cases from the Maryland Court of Appeals and Maryland Appellate Reports publishes the cases from the Maryland Court of Special Appeals. These publications can be found in law libraries throughout the state. Look on This Website - To find appropriate case law, you may start by searching the People's Law Library. We have special sections on how to find the law in many legal areas such as landlord/tenant, consumer protection, and family law. These sections will give you tips and important links to further your research. Look for Articles - You should also look in a secondary source like a legal periodical with an article on the legal topic you are researching. Legal periodicals often site important cases and may give short explanations of their importance. Look at the Annotated Code - Another important resource for finding case law is annotated codes. Codes contain the laws that have been passed by the legislature. Maryland laws are found in the Annotated Code of Maryland, and federal laws in the United States Code Annotated. After the text of each statute there is a short summary or list of relevant cases. These codes are not found online, but can be found at most law libraries. There are a growing number of websites that offer online access to case law. 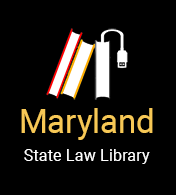 For a list and links see Free Case Law Legal Research Web Sites from the Maryland State Law Library. Book traversal links for Can I Rely on Case Law?